After Sauk, Cynthia transferred to Northern Illinois University and received her bachelor’s degree in special education. After subbing for a semester, she became the Ashton-Franklin Center Middle School special education teacher. Cynthia believes the value of the education she received from her time at Sauk helped considerably. 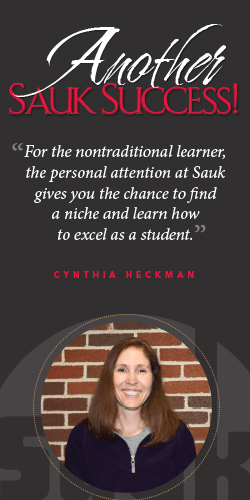 “There is real academic value for the cost at Sauk,” shares Cynthia.